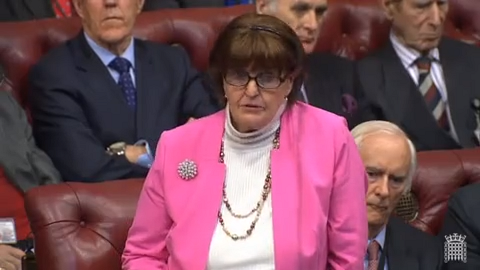 Baroness Cox (Crossbench) asked HM Government 4 questions regarding Syria and efforts to defeat Daesh (‘Islamic State’), as well as recent reports concerning the treatment of political detainees in Sudan. Answers have come from Lord Ahmad of Wimbledon (Conservative Minister of State). To ask Her Majesty’s Government what assessment they have made of reports that the government of Sudan has forced recently released political detainees to take part in negotiations with that government as a condition of their release. We are not aware of individuals being required to take part in negotiations as a condition of their release. However, we continue to make clear to the Government of Sudan our expectation that all detainees will be treated in accordance with international standards. This includes ensuring their unconditional release if there are no charges brought against them. To ask Her Majesty’s Government what assessment they have made of the Joint Statement of Guiding Principles for the Global Coalition to Defeat ISIS which says that “only a few pockets of land remain under [ISIS] control in Syria”; and whether the UK has any plans to withdraw from the coalition. The British Government supports the vision set out in the Joint Statement of Guiding Principles. At the ministerial meeting of the Global Coalition this month, the Minister of State for the Middle East expressed this Government’s support. As the Guiding Principles note ‘…our work is not done. ISIS/Da’esh remains a serious threat to the stability of the region and our common security.’ That is why the UK will continue to play a leading role in the Global Coalition. Daesh remains a threat. In order to protect UK citizens at home and abroad, we must continue our efforts to secure the lasting defeat of Daesh in Syria and Iraq. We are working to secure Daesh’s lasting defeat by working with legitimate local authorities to ensure a stable, prosperous and united future for affected communities in both Syria and Iraq. Daesh must not be allowed to re-emerge. To ask Her Majesty’s Government what assistance they provided to the Global Coalition to Defeat ISIS in Syria between 2015 and the latest date for which figures are available; and what was (1) the cost, and (2) the nature, of that assistance. The UK plays a leading role in the Global Coalition against Daesh. Our military involvement in the Global Coalition is Operation SHADER. We do not disaggregate the costs of that operation between Iraq and Syria (the costs of military operations are published in the Ministry of Defence’s Annual Accounts, available online). In Syria, our military role in the Global Coalition is limited to air strikes to support partner forces on the ground. Since 2015, the UK launched 315 air strikes in Syria as part of the Coalition campaign. We are also playing a leading role in the humanitarian response, including funding to stabilise areas liberated from Daesh. In October 2017, we announced a further £10 million to respond to displacement in North East Syria, including funding to remove mines. To ask Her Majesty’s Government on what legal basis they participate in the Global Coalition to Defeat ISIS in Syria. The UK’s legal basis for military action in Iraq is the consent of the Government of Iraq. The UK’s legal basis for military action in Syria is the collective self-defence of Iraq. Daesh continue to pose a threat to Iraq both within and from over the Syrian border and therefore our legal basis for military action remains extant.